Reveal soft, smooth and clean skin with this brilliant new offering from Ozomax. 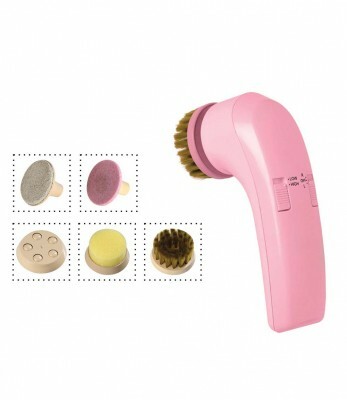 This Facial Massager is a two speed both side rotating massager that can scrub, tone up and cleanse your face, chin, neck within no time. This product can also help shape and shine your nails gently. You ought to get your hands on this one.